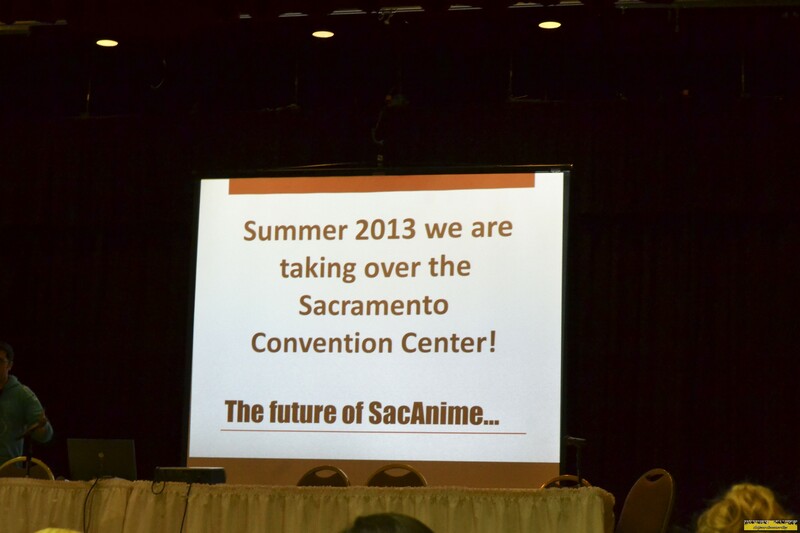 The immsene growth of SacAnime has happened almost overnight to the delight of the organizers, the attendees, and the City of Sacramento. This convention, Masquerade had its own home with stage-quality productions that will truly foster and advance as the staff and those who participate in the Masquerade learn the workings of the Community Center Theater. There was more local media presence from television to the Sacramento Bee. And all the local eateries were packed full of attendees more than ever; back when SacAnime first went to the convention center, the Subway across the street from the Sheraton Grand was closed on Sunday because that Subway is usually closed on Sundays, but since then that store is now open on Sundays when SacAnime is in town. I'm a economics person and I can easily see how much local businesses are taking in from the hotels to the restuants and even city parking. SacAnime always amazes when it comes to their guest lineup. People will argue that this convention doesn't get enough Japanese guests and always banks on the likes of Bosch and Mignogna that are almost a shoe-in every summer or winter. But given the talent of the organizers and deep connections that these guests have that date back to the Scottish Rite era, it's pretty good. The only one complaint that most people have with this convention - and this has been evident for the longest time - that there is more of a 12-17 age group presence than other conventions in California like Fanime or Anime Expo. SacAnime has gained the reputation of being a "underage" convention, and every so often there will be an event that will highlight this reputation. This time around, it was the younger Homestuck fanbase that left a huge mess around the convention center area when the attendees need to set an example and prove to the City of Sacramento that we can take care of what we walk on. Then again, I'm 26 and in a different age group and I could be seeing things as someone who's approaching the latter half of their lifespan so I could be wrong in my analysis. There's really no one true solution or solutions to combat this problem seeing that it could be a problem for any convention across the world, but it's something to keep your eye on as any convention moves along. Like most attendees, SacAnime Summer ends the 2014 convention season unless you plan on attending PMX in November which is highly unlikely for me. There is the possibility of attending the Fall/Winter NorCal Cosplay Gathering in Fremont in late November so hopefully I can go to that. Once January hits, there's SacAnime Winter, ALA, Otakon Vegas, and Animation on Display. After weighing both the pros and cons for each convention, I'm leaning towards AOD because it's the most affordable, I can tour San Francisco on Day Zero, and it's a convention that I've been wanting to go to. I might attend SacAnime for just a day or so depending on the work schedule but those days off will go towards AOD.